But this time, as I was deciding whether or not to “bacon” some coconut, Jack had the idea to call this a Bean-LT. The B in this version is the Bean spread that I used here instead of mayo. This white bean spread is thick and tangy. 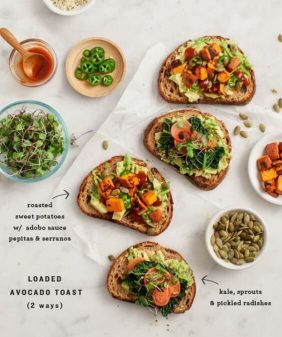 It’s made with pureed cannellini beans, lemon, capers, and garlic – all ingredients that go well with fresh tomatoes, avocado, lettuce, and grainy Whole Foods Market Seeduction® bread. A few pinches of smoked paprika add a little smokiness to this otherwise very fresh sandwich. In a blender, puree the cannellini beans, olive oil, garlic, lemon juice, and capers. Season with salt and pepper to taste. Chill until ready to use. 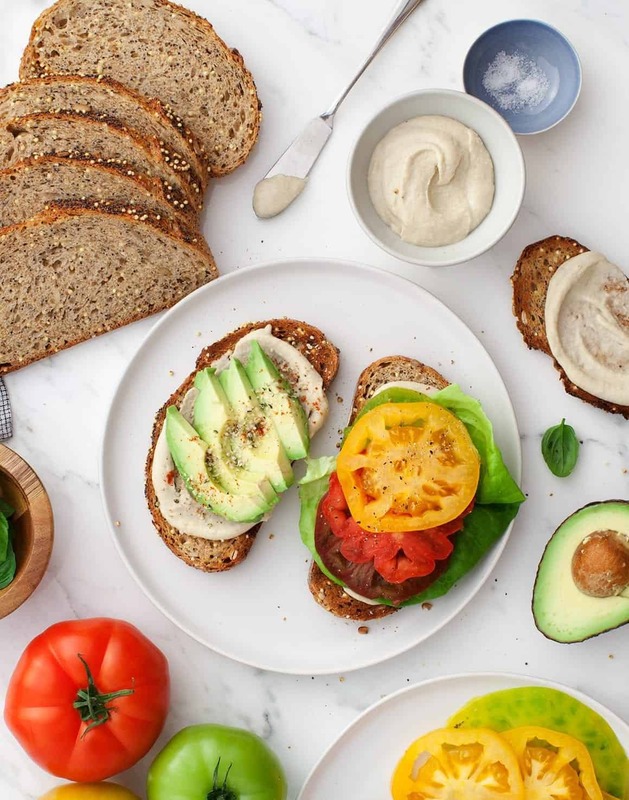 Assemble the sandwiches with the toasted bread, white bean puree, lettuce, tomatoes, avocado, fresh basil, sea salt, pepper, a pinch of smoked paprika and a sprinkle of hemp seeds if desired. Find Seeduction bread at Whole Foods. 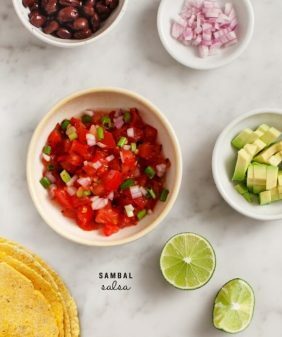 This recipe was created in partnership with Whole Foods Market. 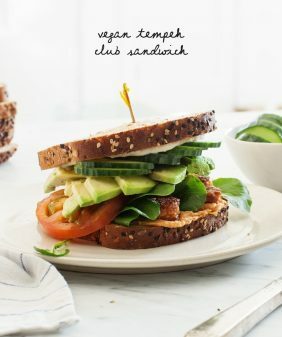 Love this twist on the classic BLT! I love seeduction bread 🙂 This sandwich looks delicious! Could a drop of liquid smoke in the bean spread work? yep, that would probably be really good! I would love this for lunch! I’m so obsessed with this!! I am allergic to mayo but have never thought to make a white bean spread in place- brilliant! Faux BLT’s are the best! I so agree. 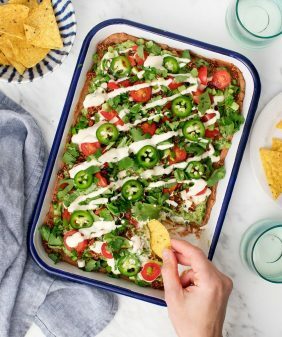 I love making them with avocado or tempeh! Now for the this bean version! YES indeed! 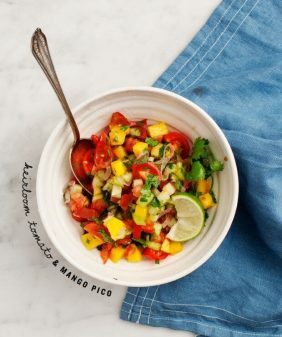 Heirloom’s are always so tasty and this is the PERFECT way to use them! These look awesome!!!! The perfect lunch! OMG I love this. Bean-LT is right up my alley! And like you said, especially with tomatoes being so awesome right now, you don’t need all the extras. This is simple and perfect! We lightly mash the avocado for “ease of handling.” It’s a great sub for mayo. While the bean goop is a great idea, I’d probably only do it if I had it leftover from another use. BLATs are quick and easy food at our house. well, this is interesting, bean spread! Love all of these tomato choices anyway, so love to try some different flavors with them! Thank you for this recipe! Really great recipe you have shared. Thanks for writing such a good article. No worries – you can skip them and add between 1/4 and 1/2 teaspoons sea salt (or to taste). I’ve actually never tried a white bean spread. It sounds delicious. Will have to make this to replace the mayo I always eat with in my sandwiches. Should be a much healthier alternative! What a great dish! Will be definitely making this tonight! Yummy! Love this!! Do you think I can freeze the leftover spread? The white bean puree is really lovely on it’s own but it REALLY works with the other sandwich fixin’s. And this is my first time trying Seeduction (or any WFM bread) and it’s excellent. PS the smoked paprika pinch really takes it over the top. That’s a beautiful looking sandwich I wish I had right now! 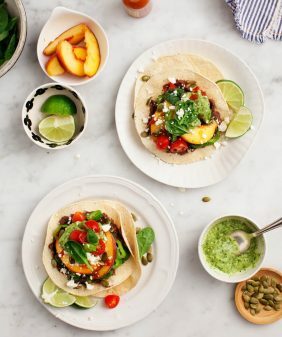 While my mouth is watering looking at these pictures and my stomach is lost without this lovely food but my brain can play in the tasty thoughts of oozing heirloom tomato juice down my wrists as I bite into heaven giggling while avocado slices try to slip out the side. The white bean puree is pure bliss. Delicious on this sandwich, and on baked potatoes. In fact, I could eat it by itself. Hi Jeni – I’m so glad you liked the puree :). Such a great idea to try it on baked potatoes! I love this recipe. Making it for the 2nd time in two weeks – and I never do that. So easy and so yummy. One caveat to folks out there – if you use a mix of wild rices, it needs to be cooked a bit longer. Not sure how much longer actually because I needed to serve it so finished off the rice portion in the microwave. Going to do white rice like the recipe calls for this time. Thanks for this Recipes. I love that. I’m so obsessed with this bread. White bean puree is pure bliss really. Can’t wait to try my hand at this super awesome recipe. Loved it completely. Thank you so much for sharing this super awesome recipe with all of us. Best wishes and Regards.